Looking to experience a Dr. Suess tree in real life? 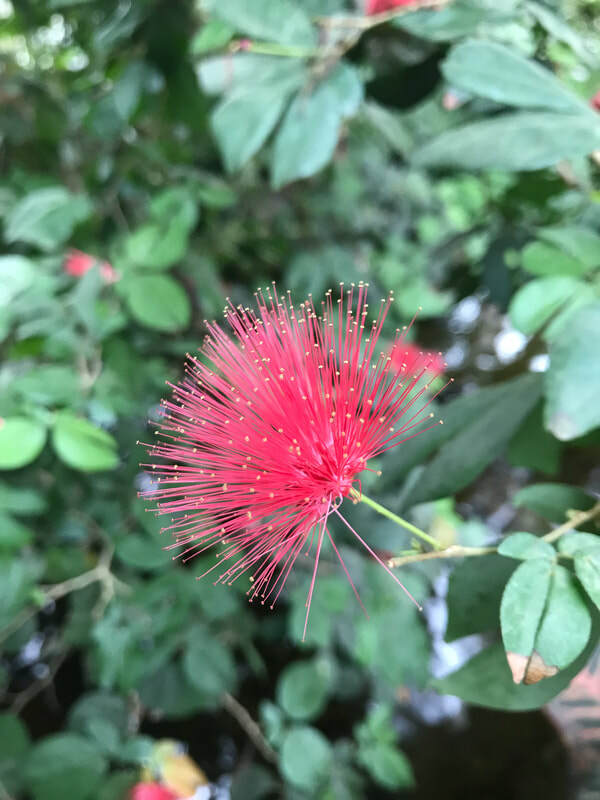 See the Powderpuff Tree in our Sun Garden! The Powderpuff tree is located to the left of our main fish pond. You can't miss it with the vibrant color and unique form. Our garden showcases the cotton-candy pink flower color, but they also come in bright red and creamy white varieties. Powderpuffs are actually large, fast-growing, wide shrubs. They are usually trained into a tree shape with one stem that branches out wide with very attractive leaves. The flower buds are as unusual as the flowers...like little rounded berry clusters.